Do not share ordinary holiday e-cards on this Thanksgiving Day! Be unique and congratulate your friends and relatives with personalized photo cards. 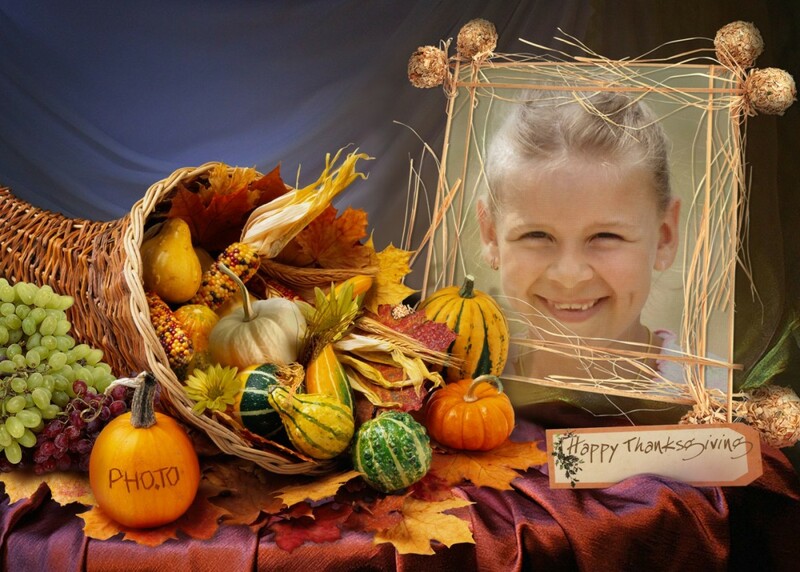 All you need to make a custom card is your photo and one of these templates designed especially for Thanksgiving Day. Optionally, you can complement your pics with text wishes. The photo frame below places your photo near a cornucopia (also called the horn of plenty), a magical source of abundance and nourishment which can feed all the people as it once fed Zeus in an ancient Greek legend. You can add a photo of your friends or relatives to this template to wish them happiness and welfare. Little ones will surely like these unusual Thanksgiving photo frames with characters from famous cartoons. 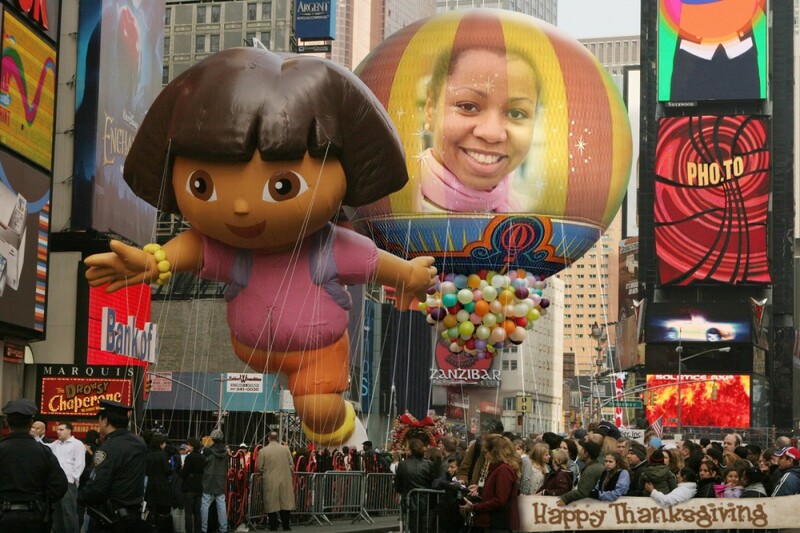 On Thanksgiving people are giving thanks for the blessing of the harvest and of the preceding year. 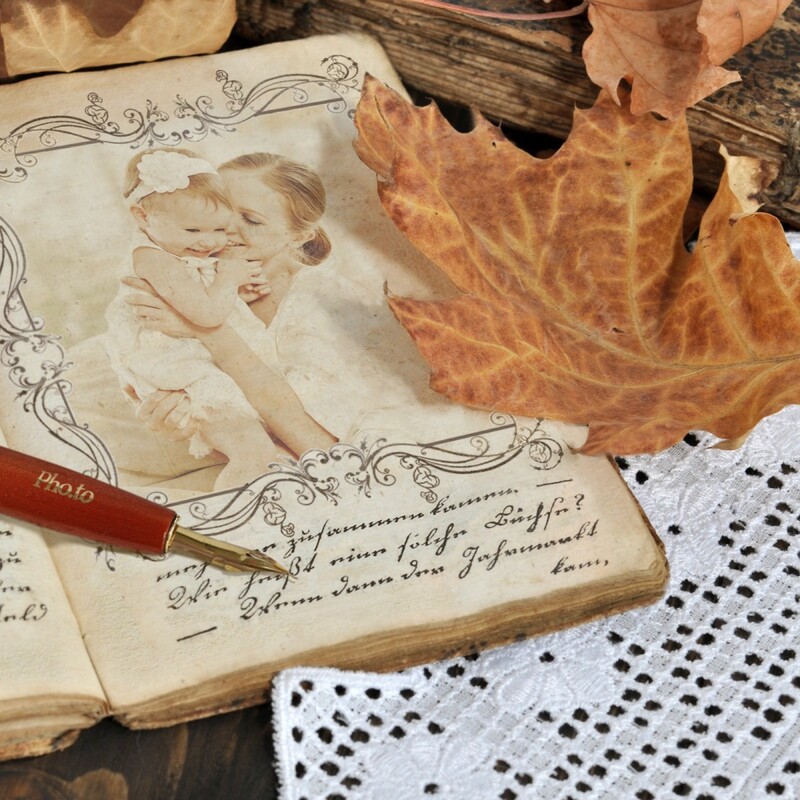 Make your family photos even warmer on this beautiful holiday with this autumn photo frame. Autumn is a beautiful season of warm bright colors, when late berries, apples and yellow leaves all together make a charming festive pallette. 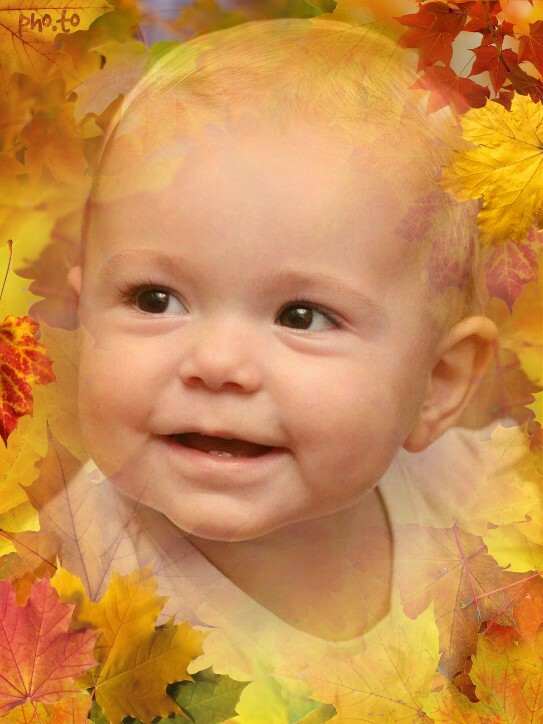 Make lovely seasonal pics by adding an autumn background to your portrait photos. 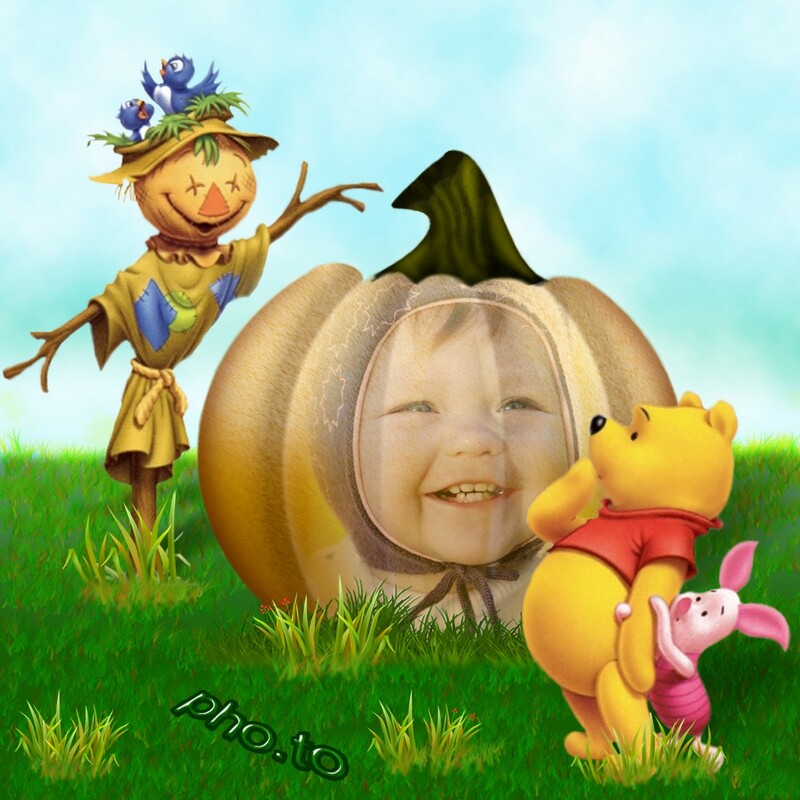 You can also turn your photo into a warm sanguine drawing in warm autumn colors. Have you ever dreamt of trying on a native americans’ war bonnet? Do it right now and be sure to share your pic on Thanksgiving Day. It is quite possible that you’ll get an enormous amount of Facebook likes and retweets from amazed friends and subscribers! 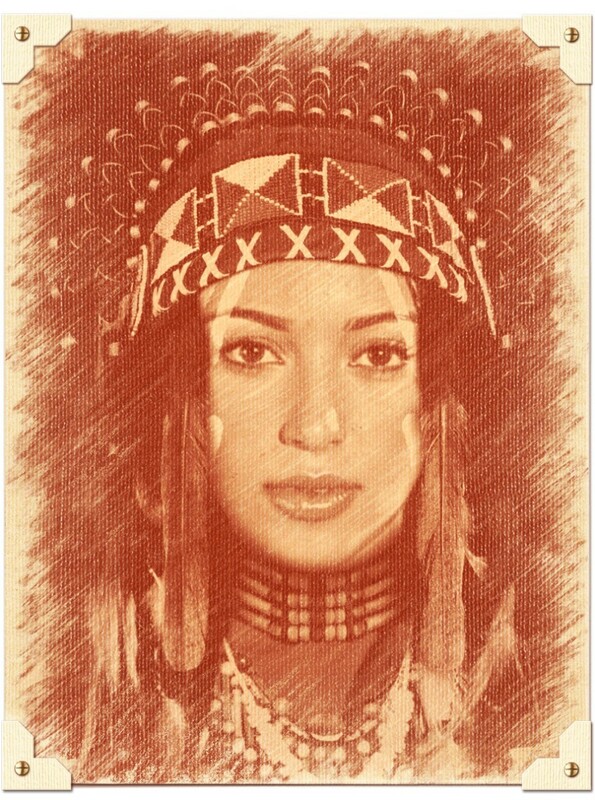 Besides, you can turn your Native American style portrait into an animated picture with the ‘By the Fireplace’ photo effect. Use it to show that you have deep Indian roots and honor the memory of your family members. 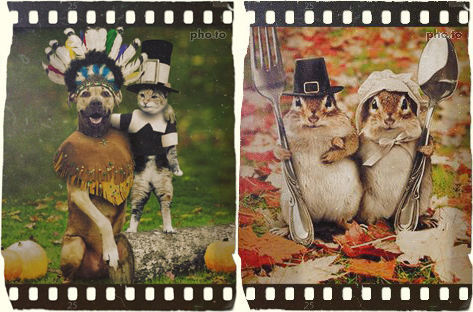 If you are a fan of DIY costumes, you can make funny photos with your pets wearing colonists headwear. Such hats can be easily made from paper. Add the ‘Retro Stamp’ photo effect to your photos to make them look even more authentic. Thanksgiving holiday table is always filled with dishes. If you are proud of your holiday masterpieces, take photos of them to show to your friends and subscribers. 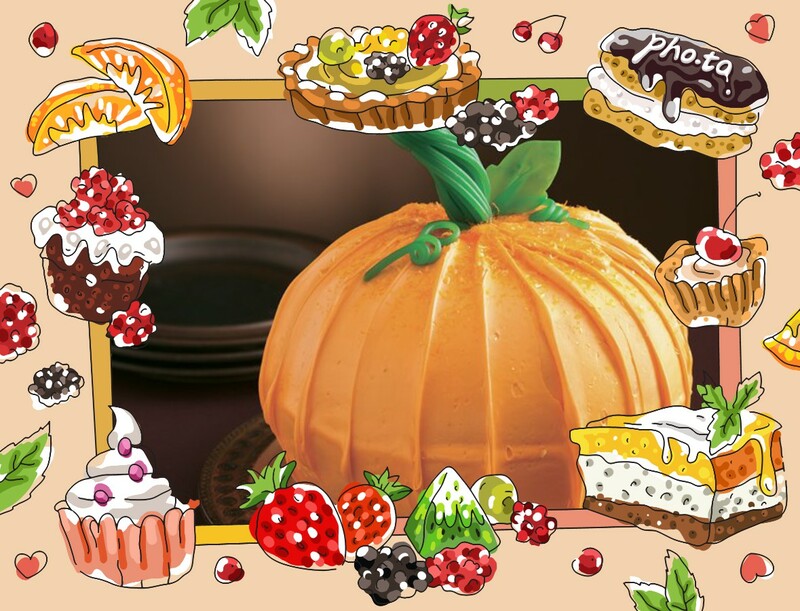 You can even make a photo recipe card. Choose one of our yummy photo frames, add it to your photo, print the result and write a recipe on the back side of your photo card. 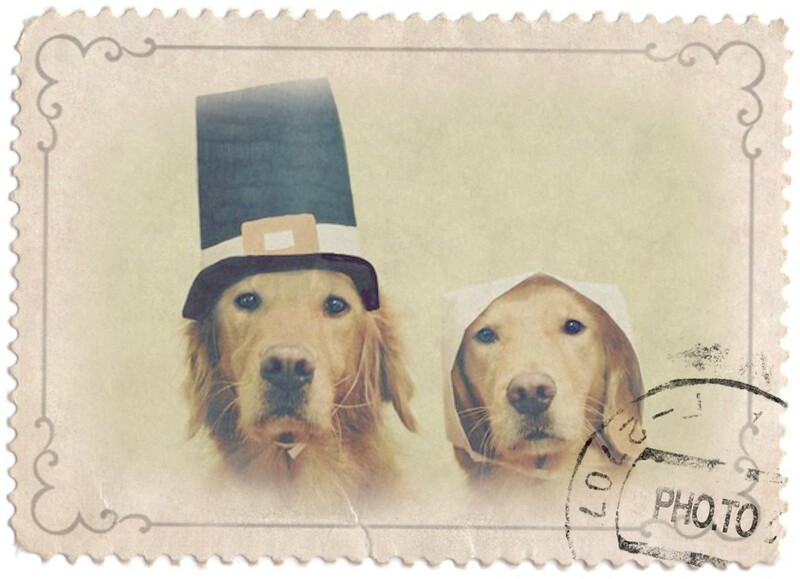 Give these recipe photo cards to your guests on Thanksgiving. And the last but not least, a cook on Thanksgiving really deserves a personal ‘Thanks’ for creating this wonderful table. 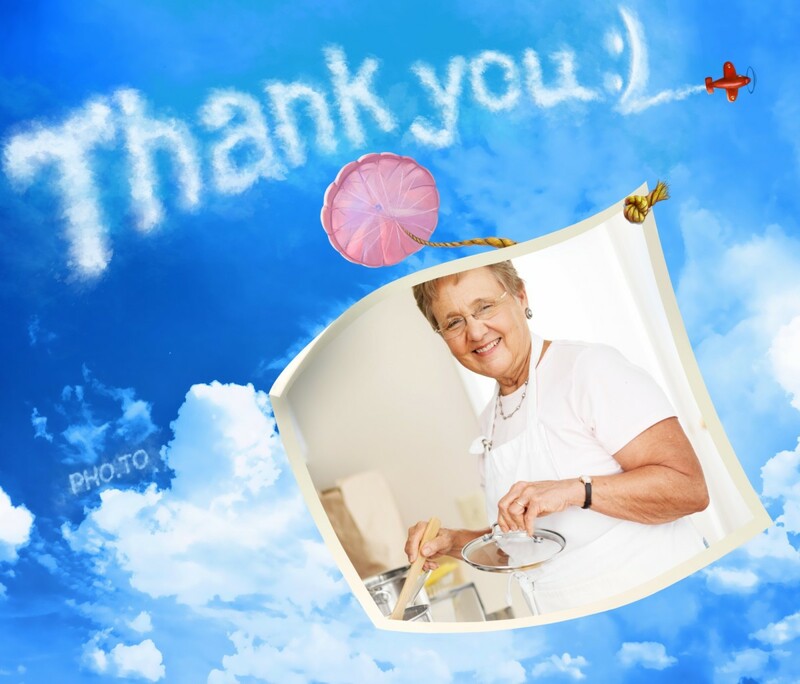 Say ‘Thank you for all the efforts and hard work’ to your cook with this new ‘Thank You’ photo card! Keep in touch, lots of new interesting stories are on the way! 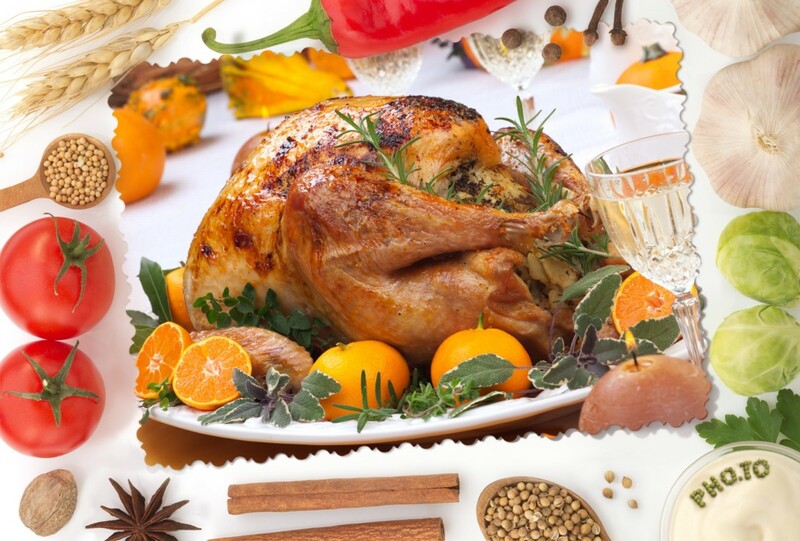 Happy Thanksgiving and may your table be groaned with food all the time (as well as your life – with joy and happiness)! Next Next post: Meet New Arrivals from Pho.to Users!